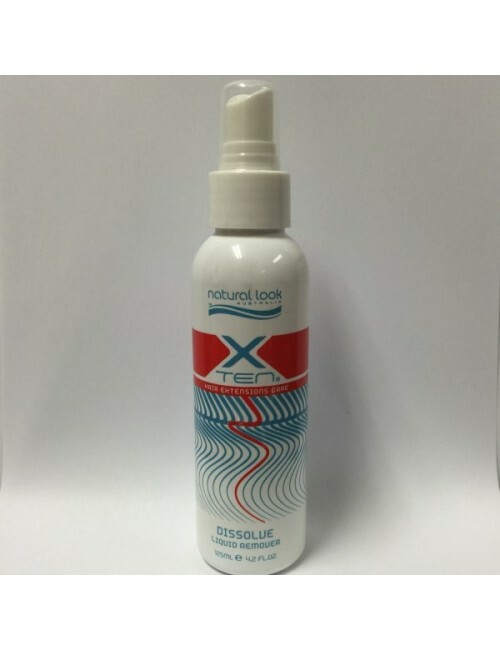 X-Ten Dissolve is an alcohol based dissolvent used to assist in the removal of Tape Hair Extensions. 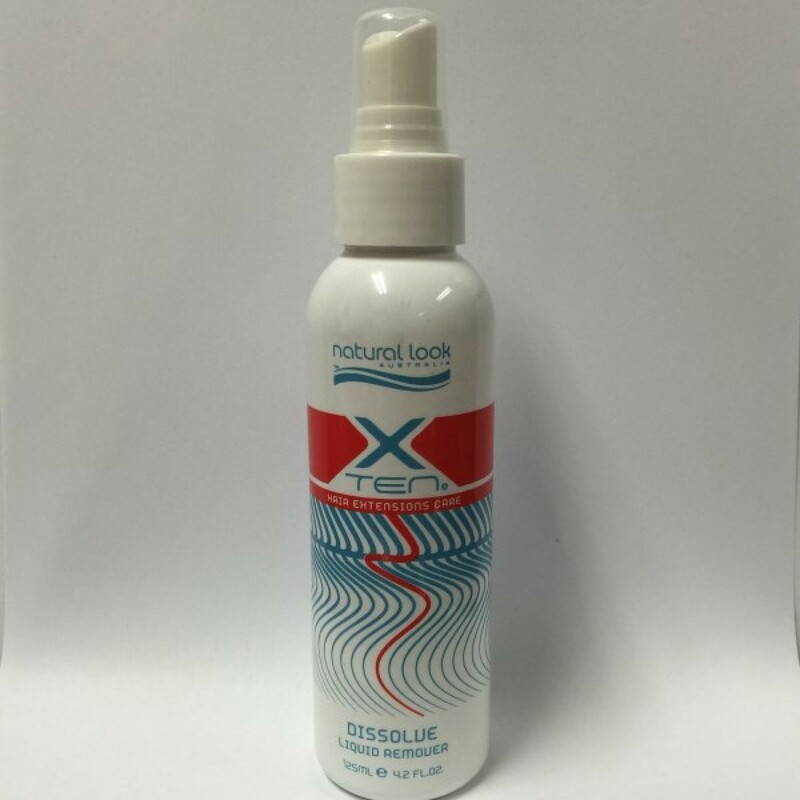 Liberally spray the remover onto the bond area to break the bond and safely remove the hair extensions. Can also be used for any other type of bonded hair extensions. Each bottle is 125ml and comes with a spray top attachment. NB. NO International Shipping on this product. 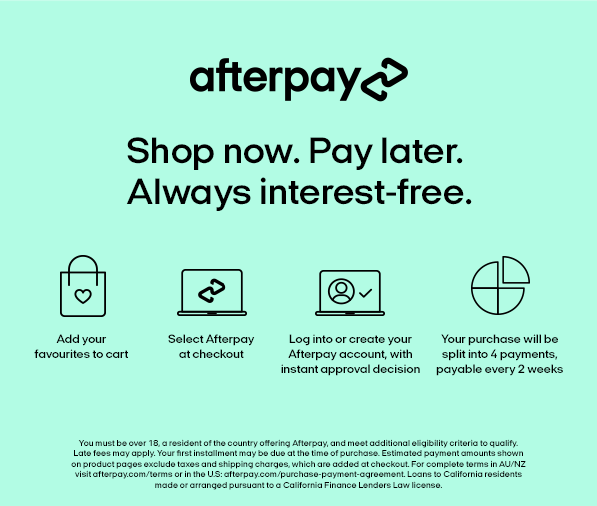 Please do not order if you live outside of Australia.